Everyone is invited to the March AIAS BAC General Student Body Meeting! This month’s meeting will be focused mainly on elections of the board for AIAS BAC, and the nomination process. If you are interested in running for one of the five positions available then make sure you come to the meeting! We will also be discussing other events for the semester such as the upcoming firm tour to a local Boston design firm, the April First Friday, and other exciting events. 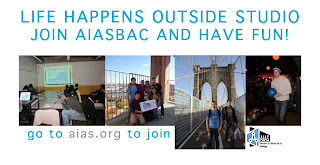 If you can’t attend the meeting or have questions about becoming part of AIAS BAC, contact us through email, AIAS@the-bac.edu, or find us on Facebook, AIASBAC.